The 2019 Formula 1 season starts with the Australian Grand Prix at Albert Park, Melbourne (March 15-17 2019). The Williams Racing team faces an uphill battle this season. The Grove-based team started the hybrid-engine era in 2014 in good shape. The team finished in third position in the constructors’ championship the first two seasons (2014, 2015). The Mercedes-powered Williams car had the advantage of the class-leading engine at the back of its car. The next two seasons (2016, 2017), as the other teams and engines started closing the gap, the team moved down to fifth position in the constructors’ championship. The team has been on a downward slide and finished last (tenth position) in the constructors’ championship last season. It was a calamitous season for the once-great team. Paddy Lowe joined the team as the Chief Technical Officer in 2017. Lowe was part of the highly successful Mercedes Technical team and much was expected of him. But the Williams FW41 challenger was a disaster beset with problems. The Williams team was at the back of the grid. The inexperienced driver lineup of Lance Stroll and Sergey Sirotkin did not help matters either. The poor performance last season has taken a toll on the team as key members of the technical team have departed now. The new FW42 car arrived late for pre-season testing this year. The performance of the car was dismal in winter testing. To make matters worse, the team announced that Lowe will be taking a leave of absence due to personal reasons, just before the new season has started. Stroll has moved to the Racing Point team for 2019. Sirotkin was not re-signed for the new season. The Williams team has a brand new driver lineup for 2019. Robert Kubica makes his return to Formula 1 after eight years. George Russell makes his debut in the sport. The outcome of this intra-team battle is totally unpredictable as both drivers are unknown quantities without a recent record in Formula 1. Robert Kubica made his debut in Formula 1 in the 2006 season. Kubica replaced Jacques Villeneuve for the last five races of the season. The Polish driver finished in third position in the third race of his career at the Italian GP. The fast and talented Kubica partnered Nick Heidfeld for the next three seasons at BMW Sauber. Kubica was beaten by Heidfeld in two out of these three seasons. In 2008, Kubica secured his first pole position and Grand Prix win. His reputation as a feisty driver who was fast and furious on the track was growing. Kubica moved to the Renault team in 2010. His team-mate was the debutant Vitaly Petrov. Kubica easily beat Petrov 136 points to 27 points. The future looked promising with talk of Kubica being considered for a drive for a top team like Ferrari. But fate intervened cruelly during the off-season. Kubica was badly injured in a rally accident before the 2011 season. Kubica underwent surgeries and a lengthy rehabilitation process that kept him out of the sport. He finally returned to motorsport in the World Rally Championship (WRC). The very restricted movement that Kubica had in his right hand made a return to Formula 1 a remote possibility. But the dogged Kubica did not give up hope as he drove in the simulator and tested with the Renault F1 and the Williams team. In 2017, Kubica was signed as the reserve driver by Williams. Kubica makes his return to Formula 1 with a full-time drive this season with Williams. George Russell scripted a great career in the junior formulae winning the 2017 GP3 series and the 2018 FIA Formula 2 championship. The Briton beat fellow Formula 1 rookie drivers Lando Norris and Alexander Albon on his way to the F2 championship. Russell is part of the Mercedes team’s junior drivers programme. He makes his debut in Formula 1 alongside the seasoned veteran Kubica. Williams was the slowest team in winter testing. Paddy Lowe who heads the technical team has taken a leave of absence now. 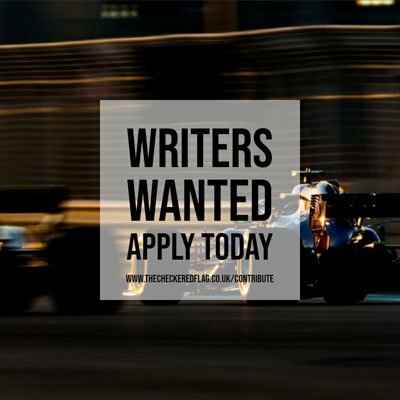 Unless the team is able to sort the problems of the FW42 through in-season development, the prospects for this season looks dim. Kubica is returning to the sport after eight seasons. There are still question marks over his fitness in tough conditions and tracks. The Polish driver was one of the top talents in the sport before his unfortunate accident in 2011. It would be remarkable if he can recapture his old form. Russell is one of the hot young prospects of the sport. He will put up a dogged performance for sure. The two drivers have to outperform a poor car this season. Young Russell has a better chance of doing this than the veteran Kubica.